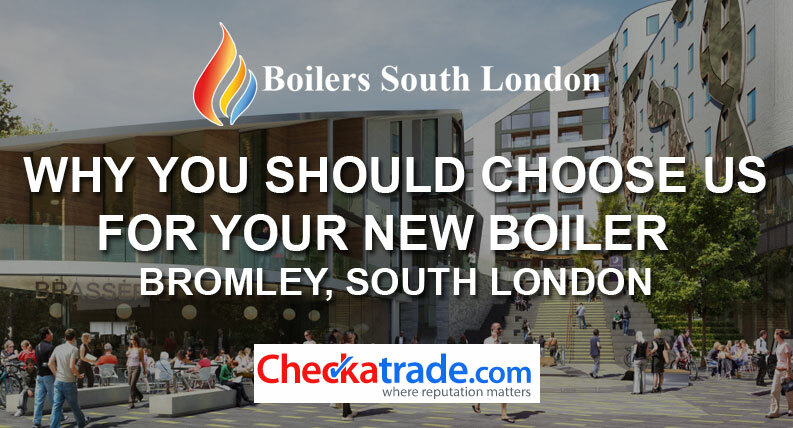 Boilers South London are your best choice for New boiler installation in Bromley South London. Offering up to 10 years guarantee on Worcester and Vaillant New Boiler Installs in Bromley there has never been a better time to get a new boiler installed in your home. New Boiler Installations are available with 10 Months interest free credit (subject to status) and your first annual service will be included for free. Getting a new boiler installation in the Bromley South London area could not be easier. Boilers South London offer a professional and friendly service to take away all the stress of having a new boiler installation. They offer a free quotations online service that is designed to make replacing your old boiler with a new boiler system an easy process for anyone living in Bromley South London areas. Just select how many rooms you have and what type of room, what your current boiler system is and what new Boiler Installation you are interested in, if you are interested in our finance options and if you are not sure, do not worry – Just fill in your contact details and send us your request with the push of a button and Boilers South London will be in touch to quickly provide you with a friendly no obligation service that best suits your needs. If you prefer, you can visit our New Boiler Installation Appointment Booking Service where you can arrange an appointment with our Bromley South London Boiler Install Sales team – Just click on the highlighted word – Quote and follow the instructions to get you one step closer to having a reliable heating and hot water from a brand new energy efficient boiler system. Do you know someone who needs a New Boiler Installation in the Bromley South London area? Refer a friend and get a Free Boiler Check for yourself?